Katie has been an active member of the Junior League of San Francisco, Inc. since 2009. She spent her first four years in the League focused on community programs, membership engagement and grant making, including launching a new community program in 2011. She served on the JLSF Board from 2012—2016 as Community Programs Council Director, Strategic Development Council Director and two terms as Vice President; and from 2017-2018, she served on the JLSF Board as Executive Vice President & President-Elect. 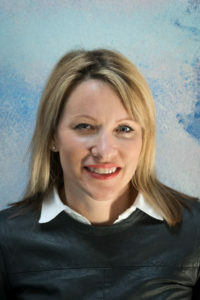 By day, she’s an Associate General Counsel, Corporate Securities and M&A at HP Inc. She’s also on the board of microfinance lender Working Solutions and chairs its Governance Committee; she is an active member of Full Circle Fund; serves on committees of the Metropolitan Club; and is on the leadership team of the Society of Corporate Governance Professionals, Northern California. Katie is also active in several visual and performing arts organizations in San Francisco. When you can’t find her on the tennis courts or moonlighting as a pastry chef, she’s walking her dog, Benson, in SOMA. Kimberly has been a member of the Junior League of San Francisco since 2012. She has served on Audit, Finance, General Meetings, and Membership. Her leadership experience includes Finance Committee Chair, Assistant Treasurer for Touch-a-Truck, and Provisional Education Advisor. Kimberly is a compliance attorney at a financial tech startup company. When she isn’t working or volunteering, she enjoys hiking, sports, cooking, and hanging out with her dog. 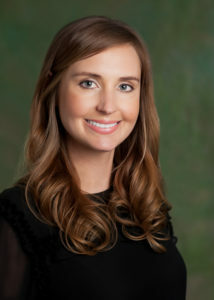 Jenn joined the Junior League of San Francisco in 2013. In the past 5 years, Jenn has served as a mentor on SMART, a member of the Enabling Funds committee and, most recently, a co-lead on the Technology Governance committee helping the League think through how best to leverage technology. In addition to the Junior League, Jenn also volunteers her time with the Healthcare Businesswomen’s Association leading the mentoring program across the Pacific region. 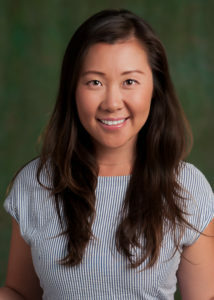 Jenn works at Genentech, leading a team in Field Analytics and Operations. When she’s not at work and or giving back, Jenn enjoys spending time outside, in the yoga studio or learning about new wines. Heather has been a member of the Junior League of San Francisco since 2014. She has served on the Advocacy and Placement committees, as HUGS Chair, and as a Provisional Project Advisor for the 2017 March Madness event. The JLSF awarded her with the Melissa Harrington Hughes Leadership Award for her work in 2017. Her most recent accomplishment includes a year-long endeavor to collaboratively outline and finalize the 2018-2021 Strategic Plan. When not working alongside her passionate and talented peers at the Junior League of San Francisco, she spends her time in Lake Tahoe volunteering for a number of environmental and community-centric organizations. She is also a member of the SF Opera BRAVO! Club, attending as many performances as the season allows. 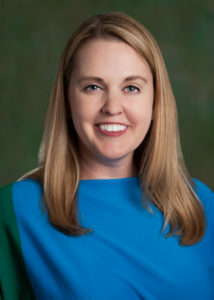 Elizabeth Dooley has been an active member in the Junior League since 2008. 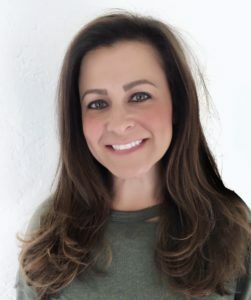 She joined the Junior League of San Francisco after transferring from the Junior League of Washington DC and prior to that, the Junior League of Las Vegas. 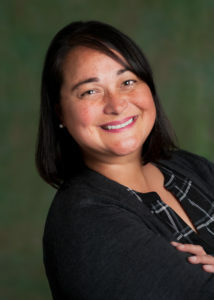 Her past Board of Directors experiences includes being the At-Large Director (for 2 years), Executive Vice President, Membership Development Council Director and before that, the Assistant Membership Council Director. 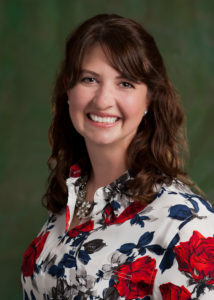 She has several other leadership roles within Junior League including: Special Events Rising Chair, ODI Steering Committee, Southwest Exchange Steering Committee, Literacy Task Force Steering Member, Centennial Steering Committee, Membership Outreach Co-Chair, and Placement Chair. 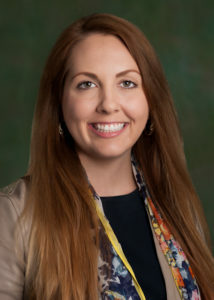 By day, Elizabeth is an attorney and when she is not volunteering or working, Elizabeth loves playing with her dogs and cats, and traveling with her husband. Jaimie has been a member of the Junior League of San Francisco since 2006 and is very excited to be serving on the Board this year. 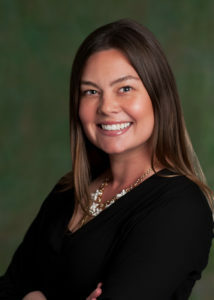 Her Previous Leadership and experience within the Junior League has been on a variety of committees including the longtime running JLSF Fashion Show, Nominating, MAC, Recruitment and Outreach, Web, and former JLSF sponsored community program, The Ronald McDonald House. 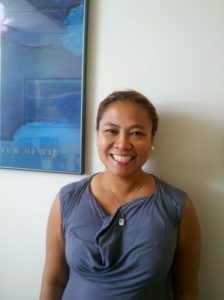 Outside of the JLSF, for the last decade Jaimie has worked as a Partner at a Bay Area Search (Recruitment) Firm. In her spare time, Jaimie enjoys traveling internationally and domestically with her husband Thomas, as well as indulging in the occasional Netflix Series Marathon. She additionally continues working towards her never-ending quest towards Spanish fluency. 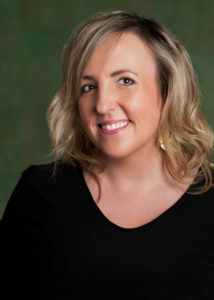 Courteney joined the JLSF in 2011 after transferring from the Junior League of Denver. Throughout her League career, she has served on a variety committees and steering committees, including Fashion Show, Communication, Finance, Audit Committee, Issues-Based Community Impact, and Community Program Development. 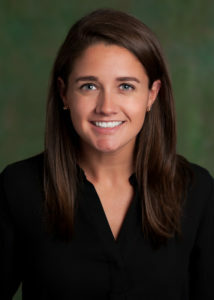 Professionally, Courteney is the Director of Environmental, Social, and Governance Research at Glass Lewis, a financial services firm, and has a passion for corporate social responsibility and sustainable finance. In her free time, Courteney enjoys traveling, yoga, theatre, and spending time with her friends, family and dog. Courtney has been an active member of the Junior League of San Francisco, Inc, since 2009. She has spent most of her League time focused on community programs, including leading a new community program in 2012 to 2014 and serving on the board as the Community Programs Director 2014- 2016. She has also branched out of her community programs path as a member of the cookbook, advocacy, strategic planning, and audit committees. She is excited to reprise her board position. 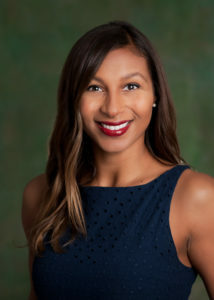 When not working with the great members of the JLSF, Courtney is a Director of Financial Planning & Analysis working for a large consumer goods company. In her free time, she loves to be outside doing anything active, reading, discovering new foods, or walking her dog Levi. 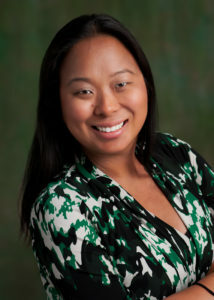 Christina has been a proud member of the Junior League of San Francisco since 2009. After having served on a myriad of committees, including Fashion Show, International Rescue Committee, Done-In-A-Day, Fund Development, Issue-Based Community Impact, and Enabling Funds, she is honored to be serving on the Board of Directors and helping this beloved organization further its mission. Christina’s day job is in tech product marketing, with a strong passion for social impact. Outside of work, Christina’s favorite activities are traveling and trying out new restaurants. She’s been to more than 50 countries across 6 continents. 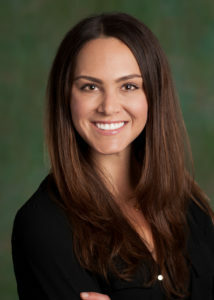 Lauren joined the Junior League of San Francisco in 2016. She has served on the Fund Development committee and one of her accomplishments was the creation of the first JLSF Annual Report. Currently, she serves on the Audit committee. Lauren works as a tax accountant for a local Bay Area CPA firm. She is also an advisor to students at UC Berkeley. In her spare time, Lauren enjoys traveling and experiencing new cultures. She loves the theater, especially Broadway musicals. 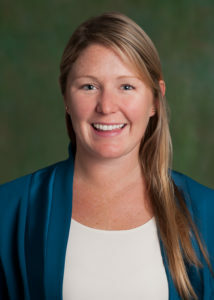 Stefanie Maier joined the Junior League of San Francisco in 2012. She has served on the Raphael House Committee, San Francisco Child Abuse Prevention Center (SFCAPC, now Safe & Sound) Committee, was Co-Chair of SFCAPC for two years and served on the Innovation and Technology Ad Hoc Committee. 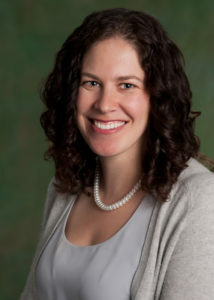 Last year, Stefanie served as Executive Vice President, Elect. Stefanie works for Google as a Strategic Account Manager and loves helping her customers grow their business in the cloud. When she’s not working or volunteering, Stefanie enjoys traveling, exercising, hiking, snowboarding, sailing and spending time with family and friends. 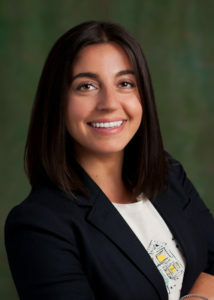 Alex Trabulsi has been a member of the Junior League for eight years, joining the League during graduate school in Oklahoma City in 2010. After moving to the Bay Area in 2012, Alex joined the San Jose Junior League, and transferred to the San Francisco League in 2014. During her tenure, Alex has held a variety of leadership roles for the League including: Kids in the Kitchen Chair, Provisional Advisor, Strategic Planning Chair, Fund Development Co-Chair, Membership Engagement Chair, and served on the Board of Directors as an At-Large Director. As co-chair of the Fund Development committee, she received the 2016 “Committee of the Year” award. She has also served as a member of the KIPP, Finance, and Marketing and Communications committees. 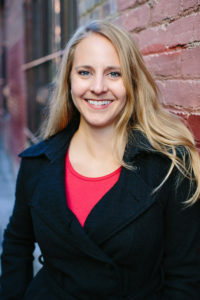 In her professional life, Alex is a development consultant, working with clients and donors spanning the non-profit and Fortune 100 technology and high-finance sectors. When she isn’t working or volunteering, she enjoys reading, blogging, cooking, sports, fashion, and traveling with her husband, Andrew. 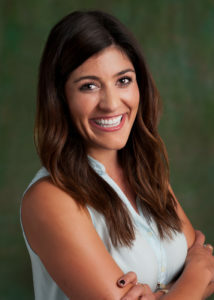 Morgan Byce has been a member of the Junior League of San Francisco since 2014. She has served on the Finance and Issue-Based Community Impact committees, and led as a Provisional Education Vice Chair and Advisor. She is currently working in Analytics at Twitter, and also serves on the young professional’s board of Larkin Street Youth Services. Morgan enjoys cooking and baking, playing volleyball with gay men, and the occasional puzzle. Katie Aspell has been an active member of the Junior League of San Francisco, Inc since 2014. She has served on Done In A Day, Raphael House, and as the Communications Committee chair. By Day, Katie is a software engineer at a startup. Outside of work and volunteering, she can be found planning her next camping excursion, frequenting art museums, or trying the latest workout fad the city has to offer. She is thrilled to be serving on the Executive Management Team as the VP of Communications and looks forward to another great year of collaborating with the amazing women of the Junior League of San Francisco, Inc.
Michelle Mukherjee has been a member of the Junior League of San Francisco since 2008. She is excited to support the JLSF’s community partnerships with Breakthrough, Institute of Aging, Project Open Hand, Safe & Sound, and SMART. She has broad League experience across community programs, membership and fundraising. She is eager to bring these experiences together to benefit our community partners through our trained volunteer workforce and grant support while promoting a positive member experience. Michelle has worked in advertising for a variety of technology companies and is currently working for a technology start-up. She is a proud auntie to her biological and honorary nieces and nephews, dog guardian to a feisty terrier and a terrible but enthusiastic beginner-golfer. Shari has been a member of the Junior League of San Francisco since 2012 and is honored to serve the JLSF as Vice President of Community Impact. As a member of the JLSF, Shari has served in a variety of positions including the California State Public Affairs Committee (SPAC), representing the advocacy efforts of 17 Junior Leagues in California, and as a member of the JLSF Advocacy Committee and Safe and Sound. When she is not working as a PR executive or volunteering, she can be found doing yoga, running or cycling. Andrea has been a member of the Junior League of San Francisco since 2015. Her prior leadership roles with the League include March Madness Kickoff Party Chair, General Meetings Chair and President’s Assistant. Andrea works as an Executive Assistant supporting the head of Private Banking at City National Bank. She is an active member of San Francisco Auxiliary of the Fine Arts Museums and Treasurer for the San Francisco Ceramic Circle. At home, Andrea enjoys reading and hanging out with her charming dwarf rabbit Emile. 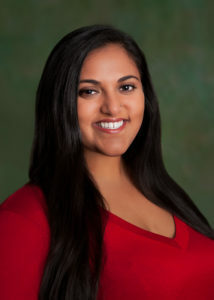 Priyanka has been an active member of the Junior League of San Francisco since 2012. 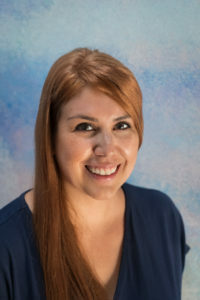 She has gained a wide breadth of experience on several committees, including Advocacy, Issue-Based Community Impact, Community Program Development, and Provisional Education. Most recently, she served as Vice-Chair of the Provisional Education Committee. In her role as VP of Membership, she hopes to help all members achieve a meaningful and fulfilling League career. In addition to volunteering, her passions include cooking, crafting, traveling, and spending time with family and friends. Rosalind joined the Junior League of San Francisco in 2006. Her leadership experience includes being chair of the 2018 Women at the Center Honors, co-chaired Community Program, served as vice-chair for the Signature Program, and CA State Public Affairs Committee representative. She previously sat on the JLSF board of directors as Public Policy Council Director. JLSF awarded her Spirit of the League in 2017 and recognized by CA State Assembly for her work Violent and Human Trafficking prevention. She currently serves on the board of directors with Compass Family Services (CFS), which provides support services for homeless and at-risk families to become stably housed, emotionally and physically healthy, and economically self-sufficient. When she isn’t working or volunteering, in her personal life, she enjoys spending time with her husband David, two grown children Andrew and Darah, their 15 year old dog Hyphy and her 4 nieces: Hannah, Livvy, April and Nova. 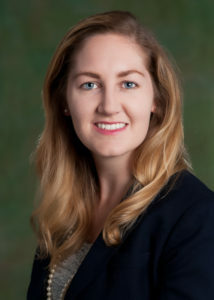 Kaitlyn Buckheit joined the Junior League of San Francisco in 2014. She has served on the Enabling Funds Committee, Safe & Sound Committee and has both served on and Co-Chaired the Volunteer Training & Development Committee. Kaitlyn works at Lever as a Sales Development Manager where she enjoys training and coaching sales professionals who are starting off in their sales career. When she’s not working or volunteering, Kaitlyn enjoys reading, cooking and traveling. Channing joined JLSF in 2015. She’s served for multiple years on the membership side of the League. Most recently, she chaired Provisional Education, where she successfully transitioned the new member training program into a semester system, allowing the JLSF to bring on two incoming classes of new members each year. Channing is passionate about helping women develop skills needed in order to grow into leadership both inside and out of the League. By day, she is the Director of Operations for Mosaic Financial Partners, a wealth management firm focused on providing critical planning services and support to breadwinning women of San Francisco. In her free time, she loves urban hikes, picnics in the park, exploring historical homes and interior design. Special thanks to Sweet Light Studios for our 2018-2019 headshots.